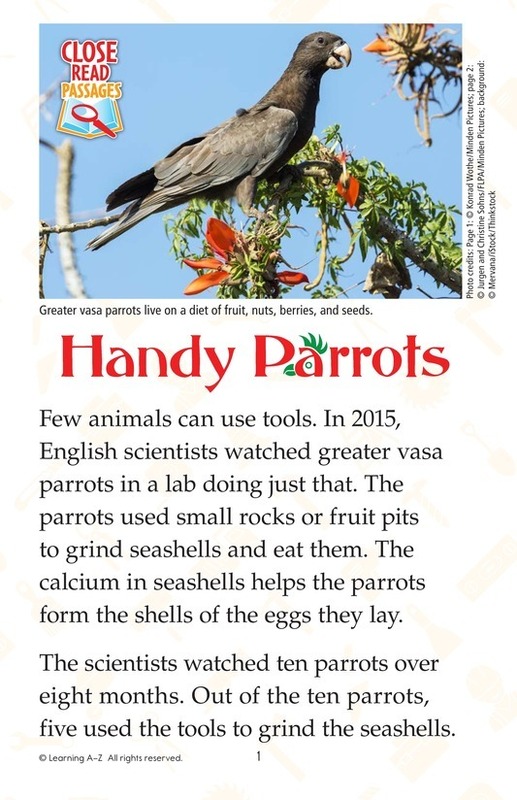 Greater vasa parrots have been observed in labs using rocks or fruit pits as tools to grind seashells. The calcium in the shells helps egg formation and laying. 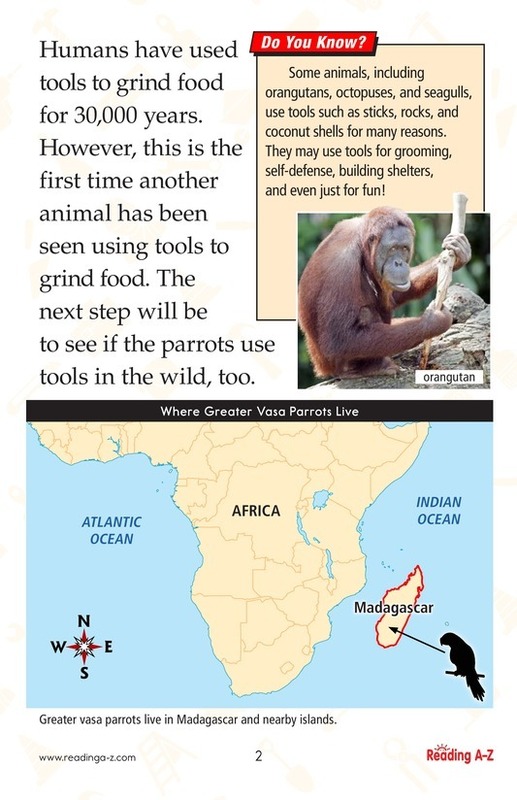 Now, the next step is to see if they also use these items as tools in the wild.